A FISHERMAN lost part of a finger during a fishing trip to North West Island on the weekend. The Yeppoon Coast Guard assisted the 12m recreational displacement fishing boat as it returned from the fishing trip on Saturday. The coast guard received a radio call for help after one of the crew lost part of a finger after it was caught in an anchor winch. 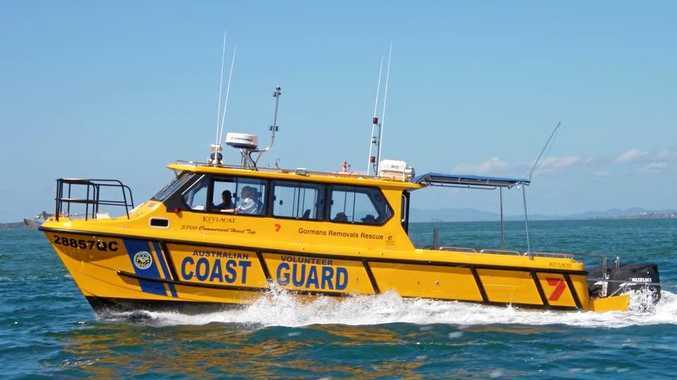 The Coast Guard requested assistance from Queensland Ambulance Service and a paramedic was sent to Rosslyn Bay Harbour. Gormans Removals Rescue, with Skipper James Fleming, departed Rosslyn Bay Harbour at 2.55pm with one paramedic on board. The two boats met at a position 5nm East of Barren Island at 4.42 pm and the patient was transferred to the rescue vessel with some difficulty as the fishing boat had stabilising outriggers on each side and a dory on stern davits. The patient was given pain relief during the return trip which concluded at 5.55pm. The patient was transferred by ambulance to Yeppoon Hospital and subsequently to Rockhampton Hospital.